Thank you for taking the time to see what we are all about! We are a church devoted to teaching the Bible and sharing God's truth with anyone and everyone. We believe in community, and we would love for you to become a part of ours! Join us this Sunday and experience IBC for yourself. Sunday School is held from 9:45 to 10:45 am with classes ranging from nursery to 4 different adult classes. Sunday Morning Worship begins at 11:00 am and consists of praise and worship through music and instructive Bible Teaching. Sunday Evening Service is at 6:00 pm. Wednesday Bible Study is held is at 7:00 pm. 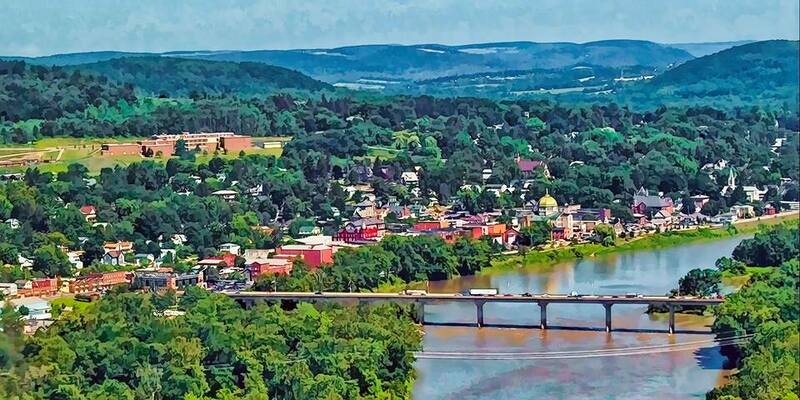 We are located in the beautiful town of Towanda PA in the Endless Mountain Region. Our church is at 109 Cherry St.
Nursery is available during our services every Sunday. On Wednesdays there are programs available for students in 1st-12th grade. is firmly fixed in the heavens. Your faithfulness endures to all generations; you have established the earth, and it stands fast.